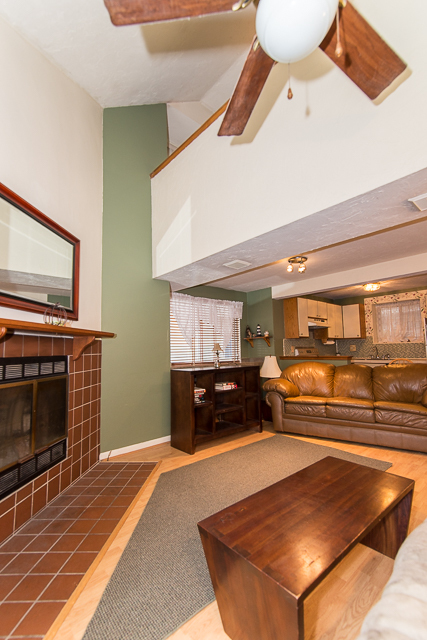 Cozy Up To A Warm Fire in your own 2 level direct entrance town house located in the beautifully maintained Whitman Pond Village. This end unit home features an open kitchen to living room space along with vaulted ceilings, skylight, and, yes-a beautiful cornered fireplace! Open the blinds and let the sun shine in through the sliding glass door while enjoying easy access to your own private deck and enclosed back yard space! Newer Pergo flooring and updated lighting in the main living area. Two bedrooms include one on the first floor or take the spiral staircase leading to the second floor lofted bedroom with large walk-in closet and access to eave storage. This is a Pet Friendly complex and is professionally managed. Contact Molisse Realty Group at 781-331-3900 for more details and information!